This hand-illustrated guide is no longer on the Wallace H Hansen website, but I have a pdf copy I can share. By far my favorite site has to be Wallace W Hansen’s Northwest Native Plants in Oregon. Check out their downloadable 75-page Native Plant Catalog (also available as an online index) and their monthly Journals. 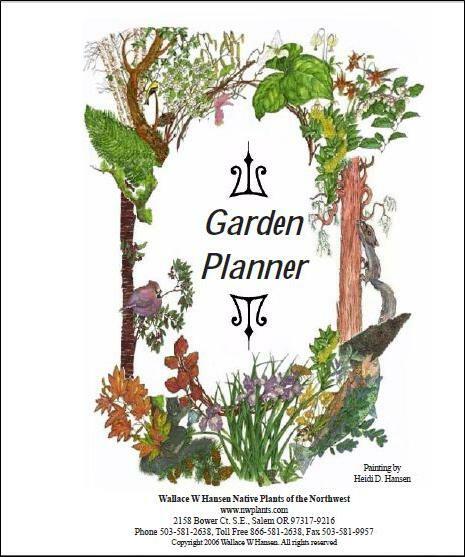 I also love their 49-page Garden Planner which is beautifully illustrated by Wally’s daughter. The King County Native Plant Guide has sample landscape plans and you can compile and save a custom list of plants. You’ll find the most detailed reference info and identification photos at Dept. of Horticulture at Oregon State University. I just had a fantastic onsite consultation this week with Michael Budnick and Laura Gibbons of Northwest Concepts. 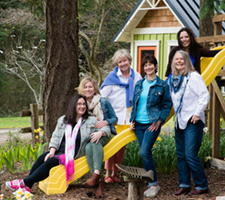 They are the go-to native plant landscapers in the San Juan Islands. I’m going to start implementing some of their ideas this fall and will post updates. Got any favorite native plant resources? Please share! Very interesting stuff! Kudos to you guys for keeping it native. We look forward to checking out your comprehensive resources. Thanks Sandi! One of the best things that came out during our site visit with Budnick is that we found alot of the native plants I want are already here, but the deer are munching them into bonsai! So first priority is deer fencing.